The hosts come into this game with a 0-5 record and still seeking a first win in the Top 16 while the away side are looking to grab a fourth win in a row and improve on their 3-2 record. An away win would see the Belgrade retain joint second spot in the group and they should have enough to hold out for a win. The Darussafaka fans will be desperate to see a home win on Thursday but the team’s defensive record for the season leaves a lot to be desired. In the last three games, the Istanbul side have given up an average of 90.7 points which isn’t a tally that can be tolerated at the upper levels of European basketball. Milko Bjelica, Semih Erden and Luke Harangody have big roles to play on Thursday night but it remains to be seen if Darussafaka can plug the gaps at the back. If they do, they are in with a shout but if they don’t, it’ll be another painful evening for the home fans. 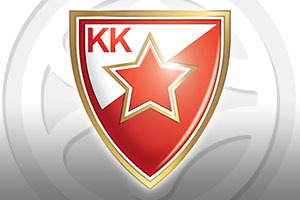 This will be the third time that Zvezda play in Istanbul this season. They lost out to Fenerbahce back in the regular season, losing by 18 points and then in the opening round of the Top 16, they suffered a narrow loss to Anadolu Efes, losing out by 1 point. The team from Belgrade will be confident of maintaining their upwards trajectory and the fact that their defence has been on excellent form of late will provide confidence. The team has limited opponents to an average of 67.3 points per game in the last three matches, which is a tremendous run at any point in the Euroleague. 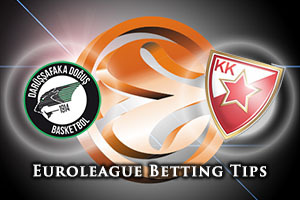 The bookmakers actually make the home team favourites for this game, which means taking Crvena Zvezda Telekom Belgrade at +1.5, at odds of 1.90, looks to be a great bet. If you are looking for the Over/Under market, look to go OVER 151.5, which can be found at odds of 1.90. Bet Now!